Heather Dessinger 63 Comments This post contains affiliate links. Note From Mommypotamus: Today the Potami clan is celebrating Micah’s birthday at the BEACH. 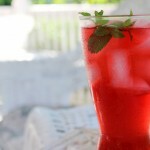 While we’re building sandcastles and chasing seagulls, Craig from Fearless Eating is sharing a recipe that is a favorite with kids of all ages – homemade raspberry soda. Thank you for stopping by today, Craig! Considering I’m a Nutritional Therapist who is very anti-sugar, this may sound somewhat surprising. After all, everybody knows soda is bad for them, full of high fructose corn syrup, artificial colorings and preservatives, right? Well, not this raspberry soda recipe. And that’s because I’m using real raspberries and the art of lacto-fermentation. Traditionally, lacto-fermented sodas were made from the roots and leaves plants. For example, root beer was made from the roots of the sassafras plant and ginger ale was made from ginger (a root), of course. But you could also use fruit as well. In fact, it’s quite a bit easier. And yes, you can substitute almost any fruit in place of the raspberries. This summer I’ve made lacto-fermented blueberry soda, watermelon soda, blackberry soda and now this raspberry soda, all from local, organic fruit. Next week I’ll be trying my hand at grape soda and I’ll be using the concord grapes that grow wild here in New England. Now as far as lacto-fermentation goes, unlike commercial sodas, lacto-fermented sodas contain enzymes, probiotics and get this… actual nutrients. Furthermore, lacto-fermented sodas contain considerably less sugar as the bacteria feed on and convert them during fermentation. So the longer you let them ferment, the less sugar they’ll contain. You’ll also notice this if you let them sit in your fridge for a while. But real lacto-fermented sodas are so delicious and refreshing that I’d bet they won’t last very long at all, especially if you have kids. Kids will also love making them. In fact, I think this is a great way to get kids interested in fermentation. Look at it as a little science experiment in your kitchen. Even if it’s your first time doing it, convey a sense of enthusiasm and mystery to the process. Their natural sense of wonder and curiosity will be fun to observe as the soda starts to bubble and fizz. And that’s another cool thing about making soda at home. Because unlike commercial sodas that have carbonation added to them, the carbonation in lacto-fermented sodas is simply a natural byproduct of the fermentation process. Finally, one last note. Once you transfer the soda to the soda bottles, both the carbonation and pressure inside the bottles will rapidly increase, so much so that you have to be careful when you open them for the first time! I learned the hard way and ruined a good shirt as the soda shot up and fizzed all over the place. So please be sure to open the bottles every day to let out the gasses that build up. Once you’ve opened them a few times the pressure will decrease as will the rate of fermentation when you transfer them to the fridge. Transfer what's now essentially sugary raspberry juice to a 2 quart glass ball jar or demijohn. Add whey and let it ferment for at least 3 days. Look for visible signs of fermentation via a slight fizziness. You can let it go longer for a less sweet soda as the bacteria will continue to feed on the sugars and convert them. Taste the soda as you go to get the sweetness you desire. Note: You don’t have to use whey. Other options for starter cultures include a ginger bug, champagne yeast or water kefir. 5. Transfer soda to soda bottles via a funnel or glass measuring cup. 6. Keep the soda bottles at room temperature and check every day. The carbonation will dramatically increase. Make sure to open the soda bottles every day to let the gasses escape. After a few days you can transfer the bottles to the fridge where the fermentation will slow down. 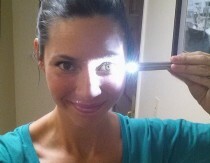 Craig Fear is a certified Nutritional Therapy Practitioner (NTP) and real food blogger. He lives in Northampton, MA where he works with clients around digestive health issues. In addition to The Thai Soup Secret, he is also the author of The 30-Day Heartburn Solution. You can connect with Craig over on his blog, Fearless Eating, and on Facebook. Will this work with raw honey as well? Hi Michelle, it is my understanding that because of the anti-bacterial/antimicrobial nature of honey it will inhibit the fermentation process. The dilution of the honey will allow the ferment to occur. Never tried it with a short ferment soda, but should work. Yeasts can’t ferment pure honey, but once diluted, they won’t have a problem digesting the sugars. Mead, for example, is a honey-based alcoholic beverage similar to wine. What would the dilution be? Use 1/2 cup of honey in place of the sugar. could you use agave nectar in place of sugar? If using water kefir would you use half a cup of the finished water kefir or half a cup of the grains? Hi Darla, you’d want to use the finished water kefir. Do you mean liquid whey like the byproduct of making and straining Greek yogurt? That would be awesome since I have lots of it! Or do you mean powdered whey? Are those interchangeable? Hi Sheri, yes, the liquid whey from straining yogurt. Could you use the whey from milk kefir? I use whey from Kefir and it works perfectly well. This might be a silly question, but do you seal the mason jar for fermenting (lid on), or put a cloth over it like kombucha? Hi Aubree, you don’t have to seal the mason jar so a cloth would be fine. But just to be clear (and I apologize if this is blatantly obvious) when you transfer the soda to the soda bottles, those bottles do have to be tightly sealed. I used a cloth and on day three I have an inch or more of fuzzy mold. I suppose this is not drinkable.??? Do you have to use soda bottles or can you leave it in the mason jars. If you have to use soda bottles where’s the best place to get them. Hi Marybeth, yes, frozen raspberries are fine. Would the liquid from sauerkraut work as an alternative to whey as well? I would not suggest sauerkraut liquid, as the strong taste of sauerkraut would interfere with the delicate taste of the raspberry soda, plus it would be very salty. Yes! You Can use kraut (or other ferment) juices. I do it all the time! Making soda through fermentation creates alcohol. It may be a small amount (or not) so be very careful giving these beverages to children, pregnant women, people on certain medications, and alcoholics. Most likely an adult won’t get drunk off of this stuff, but a small child drinking a couple cups could certainly turn up drunk. Alcohol is serious business and should be taken seriously. Please be careful and learn to test your beverages for alcohol content. do you think kombucha would work as a starter? if so, do you think the same 1/2 cup amount would work? Hi Caitlin, I’m not sure if kombucha would work. I’ve never tried it and I’ve never seen it used anywhere as a starter so I’d guess it’s probably not the best choice. Perhaps the microbial cultures are not the best for soda-making? Or maybe you’ll wind up with more of a kombucha soda? I’m not sure. I will say that my general philosophy when it comes to fermentation is to just have fun and experiment. Can’t hurt to try it! I use a scoby built up from a commercial kombucha for my soda. It works just fine. thats interesting, I’ve started making kombucha and now have a bunch of scobies, so do you leave out the whey and use a scoby instead? Also do you have specific scobies that you use for soda, or can you re use them in the tea? I’ve wanted to try homemade soda for a long time but have been intimidated. This one looks really simple, plus it’s our family’s favorite flavor! Having no experience with this already, I would also like more details on the whey. 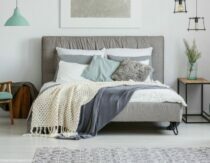 Could you maybe share a link to a product to look for? I assume my natural foods store will have the ingredient, but I’m not exactly sure what to look for. Also, why does it need to change containers on the 3rd day? If it’s in a closed jar, being tasted daily, could I not keep it in flip-top bottles, on the counter, from the beginning, opening daily, and then move to the fridge when it tastes right at 3+ days? Thanks so much for the awesome recipe, and tutorial help! From a comment above^, I want to confirm that this is fine for me to enjoy, as I’m 35 weeks pregnant, and don’t already have much fermented food in my diet (as I know I should, …but haven’t branched into that DIY world yet). I just answered your question on my blog but I’ll answer it here too since I’m sure many people will have the same question. So you need to use liquid whey and you have to make the whey yourself at home from a good quality whole milk, plain yogurt. Good companies that source their milk from organic, grass-fed farms include Stonyfield Farm, Brown Cow and Seven Stars. Simply set an entire container of yogurt into a cheesecloth-lined strainer for 3-4 hours or put it in your fridge over night. The whey will strain out. It’ll be a yellowish liquid. 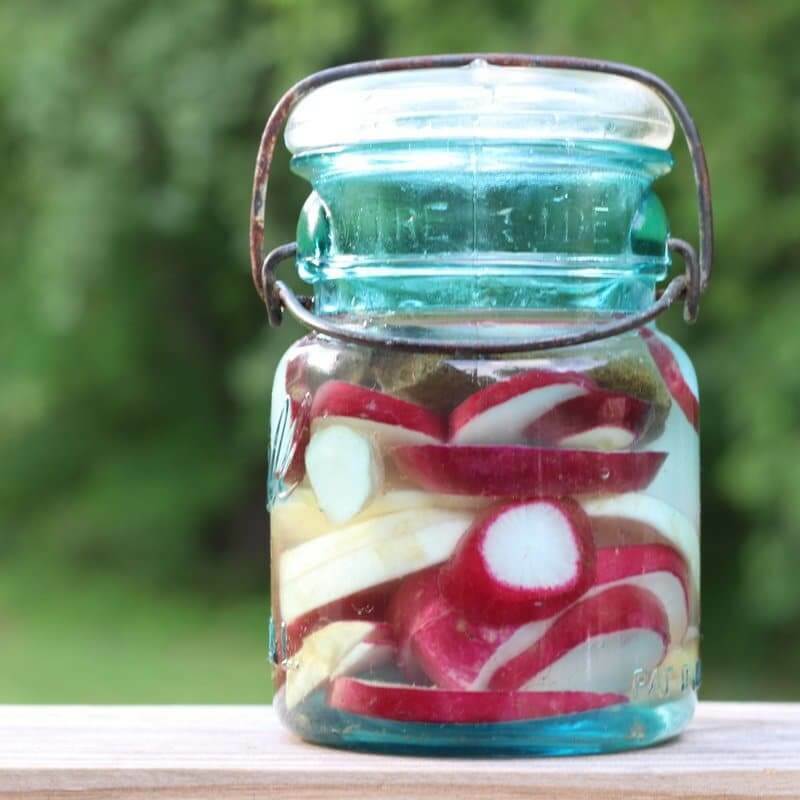 Transfer that to a separate glass jar and it will keep in your fridge for many months. As per your other question, the soda bottles are designed to facilitate carbonation, not so much the fermentation (though the fermentation will certainly continue). I believe the carbonation would build too rapidly if you started it out in the soda bottles. Best to use the other vessels first and then transfer them. You’ll see how quickly the gasses will start to build in the soda bottles! Will this soda contain alcohol? Yes. If you ferment it and it has bubbles it has alcohol. You can buy an inexpensive tool called a hydrometer to test how much. If brewed for a short time it may be less than 1% alcohol (possibly even less than 0.5%) but the only way to know is to test it. I used why that I strained off of our Greek yoghurt. Also, I used the flip top bottles from the beginning and it worked out great! Hi Shalonne, I’ve never used coconut sugar so I’m not sure nor have I seen any soda recipes that use it. In theory, I think it would work fine. Help! Hah I am in the process of making this and I made sure I bought yogurt that said “contains live and active agents”. BUT I bought nonfat. Is that going to make a big difference?? Hi Kaitlin, the whey from non-fat yogurt will be fine to use. I was wondering if you are able to use any type of organic fruit to make a different flavor other than raspberry or does the recipe change? I am not a fan of that flavor I would rather have a strawberry or pineapple flavor instead. Hi ! I’m in the process of making this now, for the first time. I was just wondering how you know the difference between it fermenting and molding? Or what to look for? Sorry, I’m a bit paranoid!! Fermentation will prevent mold from forming except where there is contact with air. So you might see a thin white layer on the surface. 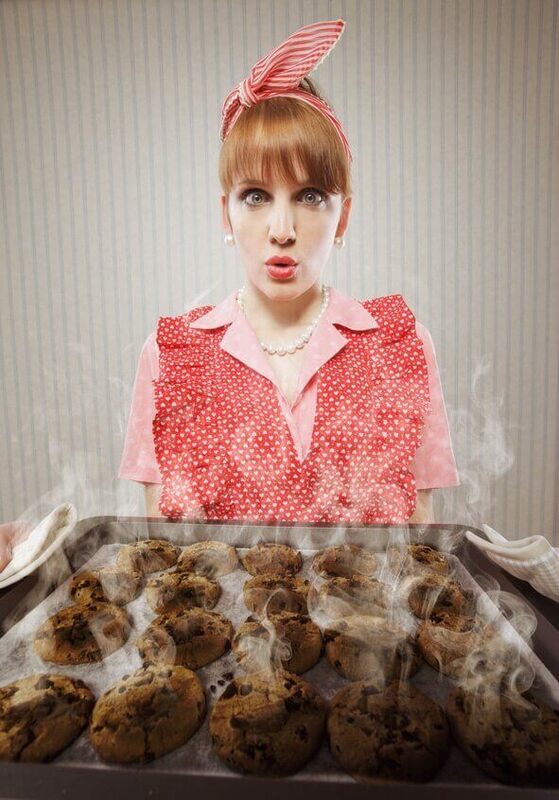 When you leave it at room temperature, make sure to swish it around once or twice a day to prevent mold from forming. If it does, it’s no big deal. Just skim it off. I just tried this recipe. I used whey from homemade yogurt at first, but after 2 days I saw no bubbling, just the liquid becoming slightly cloudy. At the beginning of the second day, I added some water kefir as well. By the evening, the mixture was bubbling but also had become extremely cloudy and lumpy, with a layer of soft clumpy material floating on top. I strained the liquid through a fine mesh plastic strainer into flip-top bottles and left them overnight with the lids loose (the mixture was bubbling quite a lot so I didn’t want too much carbonation to build up. By the morning the cloudiness and lumps had returned. I drank some and it wasn’t bad, but also wasn’t great. Tasted like strong berry favored water kefir. I’m guessing I should have just stuck with either the whey or used fresh water kefir. Not both. I’ll try this again. Is it supposed to be completely clear, or is cloudiness to be expected? Hi Jonah, that cloudiness is not uncommon with fruit sodas. Not to worry. As far as the lack of bubbling, I’m not sure where you live, but the cooler temps of winter can prevent active fermentation. Also, store-bought raspberries are often not as sweet as those in season. Just a thought as to why it may not have tasted great. You could always add a little more sugar too. How long will the soda last? I placed a jar of strained sugarfree raspberry juice in the fridge for later use, only to have forgotten about it. Guess what, when I found the jar in the back of the fridge I panicked, thinking that it was now useless. When I opened the jar, a “puff” emerged….I’m thinking fermentation. So now, I don’t want to use the juice for jelly, but would it be safe to use for soda? And what procedure would I use if it can be used since it appears to already be formented? why cook the berries? wouldn’t there be more nutrients in an uncooked berry? Is there a certain amount you should drink daily? Is this safe to drink during pregnancy? Does it contain alcohol? Yum! I made a batch last week and it’s amazing. My kids love it and I can’t believe how fizzy it got. My only concern is that now when I open the bottles I’m noticing a pretty potent eggs/sulphur smell. Has the soda spoiled or is this a weird by product of the fermentation product. The soda still tastes fine but with the odor I’m now afraid to let the kids drink it. I have raspberry juice left over from processing raspberries how much juice do you think I would need? 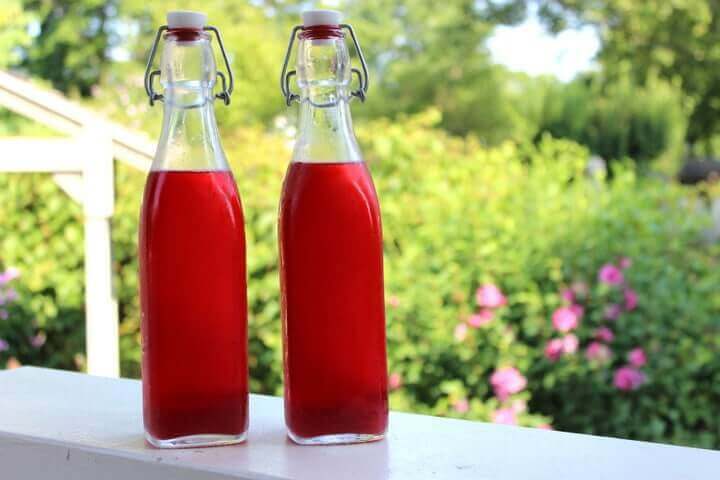 Hi, I tried this recipe this, it fermented on the counter 4 days and got super fizzy, it tastes lile grape soda but had a somewhat off putting smell…almost amonia like smell. Is this normal? New to fermenting! This sounds so refreshing! How would one get their hands on champagne yeast? Northern Brewer sells champagne yeast for under $1 a packet. 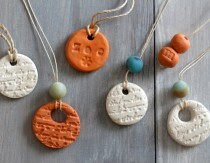 They are on Grand Avenue in St. Paul, MN and do mail order. Second location also in the Twin Cities, Minnesota. Hello, Where can I buy Whey? and how will it come? (as a powder or yogurt-like? and particular brands?). Thank you. It is so easy to do. I have just started making fermented soda recently and have been (for lack of better verbiage) wildly successful. It is really surprising how easy it really is. My whole family enjoy them. The trick is to get the flavor you and your family will enjoy the best and then go with it. I use all three methods, ginger bug, whey and water kefir. They all have benefits and the results are slightly different but all good. The fizziest by far (and easiest to do) is the water kefir method. 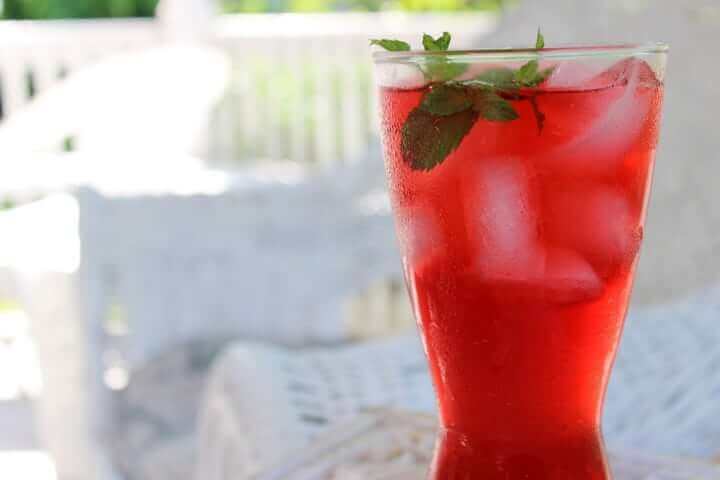 Water kefir is very versatile because you can do so many thing with it experimentally. If I was to put my two cents into this it’s don’t be afraid of this. It really is safer and better for you than sterilized flavored sugar water. I have had food allergies and bouts with depression for many years and very shortly after I started fermenting my foods and drinks my whole outlook on life has changed. I go to sleep in a good mood and awake in a great mood and I truly believe its largely due to the way I prepare what I eat. My allergies are nearly gone. This is a great blog and the recipe ideas are excellent. Thanks so much for putting this out for us. Can I use a GAPS-legal substitute for sugar? And also, can I use, say, blueberry, instead of raspberry with the same results? How long can the yoghurt whey soda be stored once fermenting is done? Raspberry Soda is a new one for me! 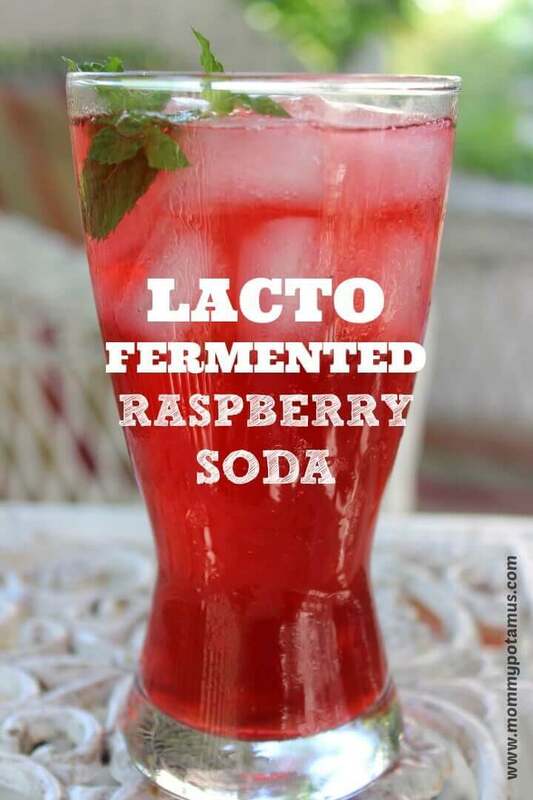 I’ve seen many other types of sodas while researching fermented food recipes but this one looks super interesting! Its a tossup between strawberry and raspberry on which soda I want to make first.. Maybe i’ll recruit some of the family and make them both! Thank you for sharing your great recipe! it looks delicious! I am super excited to try this. I make yogurt regularly and this will give me a ‘whey’ to use up my whey. Har har. 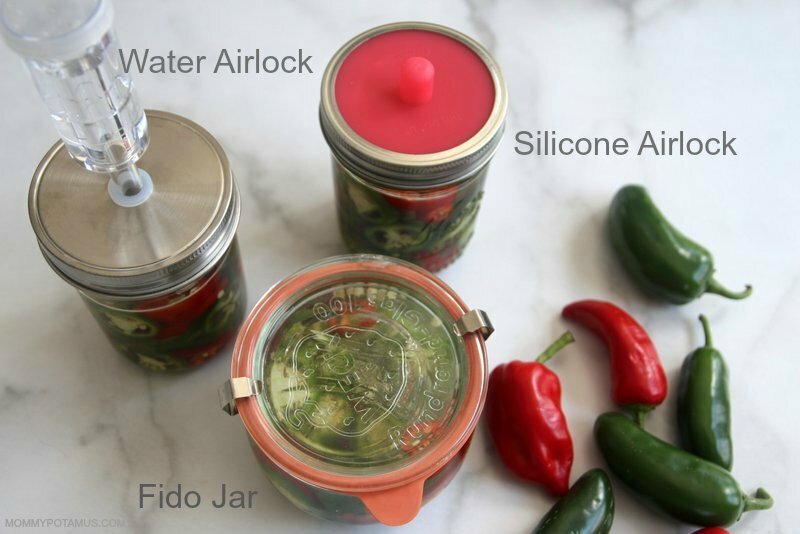 Two questions though – I only have one flip top bottle – could I use mason jars instead? And, what do you mean by ‘filtered’ water exactly? Can I use tap water? Is there a reason the raspberries have to be cooked? Can we just mash them with the sugar water, then add the whey? I don’t mind fruit bits in my drinks, but don’t know if there is some other reason to cook them? if i leave it for more than 10 days will the amount of alchohal be significant? instead of kefir can i use a few tea spoons of grated ginger? All I can say is “YUM”……best recipe ever….thank you.